Green Tomato Bread. © 2009 Barbara Rolek licensed to About.com, Inc. 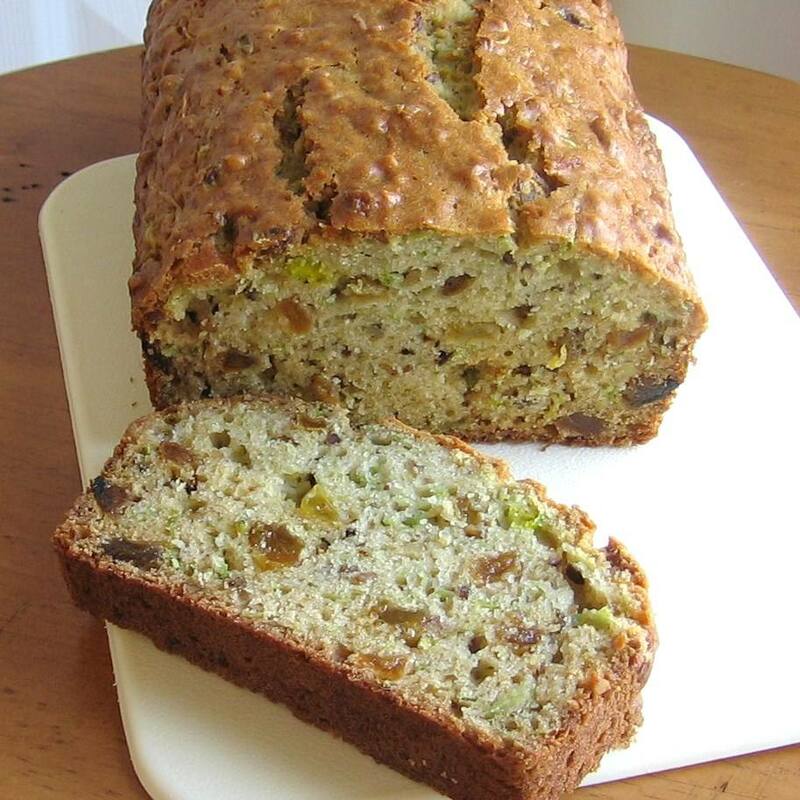 This dessert quick bread recipe is a great way to use green tomatoes before a frost sets in. Eastern Europeans are fond of green tomatoes in everything from desserts to jams. They also show up breaded and fried as they do in the South and served as a side dish, sauteed with eggs or onions for a filling breakfast or light meatless meal, and pickled in slices or chopped for a green tomato relish and served as a condiment. This quick bread is delicious for breakfast or dessert as is or toasted and slathered with butter or plain or flavored cream cheese. You can even turn stale quick bread into French toast and a slightly dense bread pudding. Tomato quick bread really needs no adornment but, if you want to gussy it up a bit, sprinkle the top with confectioners' sugar or coat with a light layer of cream cheese frosting (see recipe below). Here are more Eastern European Green Tomato Recipes and here's a larger photo of green tomato bread. To make the quick bread batter: Heat oven to 350 degrees. Lightly coat an 8x4-inch loaf pan with cooking spray. In a large bowl, combine 1 cup grated green tomatoes (or firm red tomatoes), 1/2 cup light or dark raisins, 1/2 cup coarsely chopped walnuts, 3/4 cup sugar, 1/2 cup oil and 2 large slightly beaten eggs. In a separate bowl, whisk together 2 cups all-purpose flour, 3/4 teaspoon baking powder, 3/4 teaspoon baking soda, 3/4 teaspoon salt and 1/2 teaspoon cinnamon, if using. Add to tomato mixture and stir just until well combined. Do not over mix. Transfer batter to prepared loaf pan and bake 55 minutes or until toothpick tests clean. Let stand 10 minutes before removing from pan and cooling on a wire rack. Allow to cool to room temperature before slicing. Dust with confectioners' sugar, if desired or apply a thin coat of cream cheese frosting. To make the frosting: In a medium bowl, whip together the 4 ounces softened butter and 3 ounces softened cream cheese until light and fluffy. Whip in 1 1/2 cups confectioners' sugar, 2 teaspoons vanilla and 1/4 teaspoon almond extract, if using. Spread frosting on completely cool quick bread. Refrigerate. Slice while cold but let the quick bread come to room temperature before serving for best flavor. Note: You also might enjoy these 16 Dessert Quick Bread Recipes. And when you need a dessert quick, one of these 15 Easy Cake Recipes should do the trick.